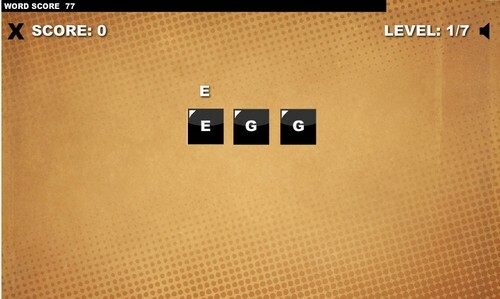 Description Guess The Word is a new highscores word search game! The goal is simple, drag the letters to the right positions to create a word! The game contains 2 game modes - On Score and Free Play! Controls Press the HINT button if you want to see a help letter. Watch out, some letters can create more words, HINT will help you to create one of them! Press SUBMIT button whenever during the gameplay (in On Score mode) to end the game and submit your score!